Would you like your dessert served by a ghost? Sweet Home Alabama has a long history, and with that comes a little bit of haunting. Come have a bite with some of our frequent diners at these haunted Alabama restaurants and hotels. The legend of Huggin’ Molly is unique to the town of Abbeville. Legend claims a phantom woman in dark clothing and a wide-brimmed hat would appear to children out past their curfew. She would squeeze them tightly, then scream loudly, as if to scold them. She never harmed them, other than perhaps causing some ringing in their ears. For over 100 years, parents have been relying on her legend to teach their kids not to stay out after dark. Residents can remember Huggin’ Molly by venturing downtown and stopping in a cafe named for the phantom. 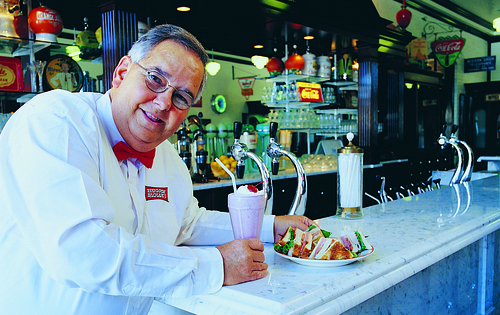 Huggin’ Molly’s has an old-fashioned soda fountain offering ice cream and malts, you can also order Molly’s Fingers with “Come Back” Sauce. Built in 1888 by John McKleroy, the house went through two owners until 1949, when the Kirby family bought the house. Mrs. Kirby entertained guests in what is now known as the Victoria Lounge. In 1984, a realtor company bought it from the family and turned the mansion in the inn. This place, especially the restaurant is believed to be haunted. Footsteps are often heard coming from spots in the house, music emanates from the piano and glasses are heard clinking by the bar staff, but upon investigation no one is there. Witnesses have even reported seeing a female apparition on the upstairs landing. 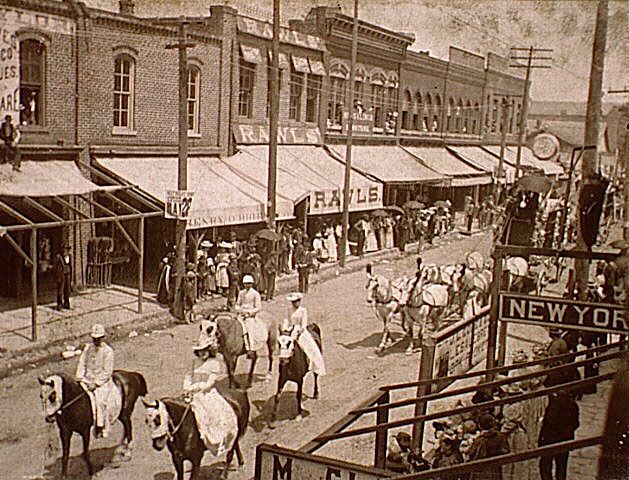 The historic Rawls Hotel was built in 1903 by Captain Japheth Rawls, decades of stories about the haunting of the Rawls have been passed down from generation to generation. Many different claims have been made; from the sound of children’s laugher, to disembodied voices, to the breaking of glasses, and even the sightings of actual ghosts. One of the more well-known tales from the Rawls is the “Lady in Red.” The “Lady in Red” will appear near the second story stairs where she was reportedly shoved from the balcony to her death. The ghost of Captain Rawls has also been reported in the basement of the Rawls. Bill Schleusner, chef and owner of the Rawls Restaurant recalled numerous times setting plates with forks and spoons perfectly positioned only to return with the forks moved away. 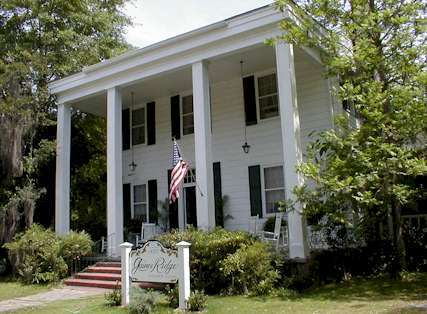 Gaines Ridge Dinner Club in Camden is listed on the Alabama Ghost Trail and is owned by a member of the family for whom Ft. Gaines in Mobile Bay is named. This popular restaurant is located in an antebellum home, and it’s one of the oldest structures standing in the area today. Great food, great service and GHOSTS... Gaines Ridge Dinner Club has it all! The ghost of an unidentified woman has been seen floating past windows and heard screaming. A baby’s cry is often heard even when there are no children present, and one room sometimes fills with the aroma of pipe smoke, even if nobody in the building has been smoking. Some people claim to have seen the apparition of a tall, bearded, gaunt man dressed in black as well; it may be the spirit of the building’s former owner, Ebenezer Hearn. What haunted restaurants have you visited?